High quality | Made from natural cowhide, soft and refined texture, special luster. High quality | Made from natural cowhide, soft and refined texture, special luster. Distinctive texture| leather has good taste and texture as the time rolls on. 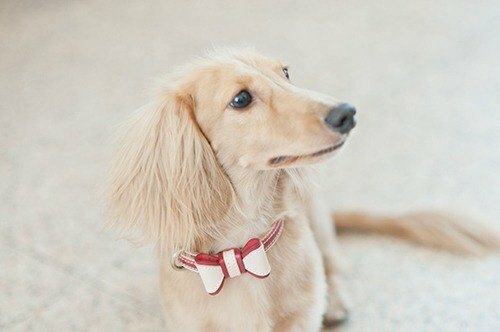 Delicate accessory | Combined with other cute decorations in the store, making your pets unique. Small size: XS,S Big size: M,L ※It can’t have laser carved lettering in the back of the product. ※It is a common phenomenon that the color of a leather product will become dark after using. If you wish to keep these items around for a long time and in good condition, it’s important to take proper care of them. Providing you with repair service. Made in Taiwan.